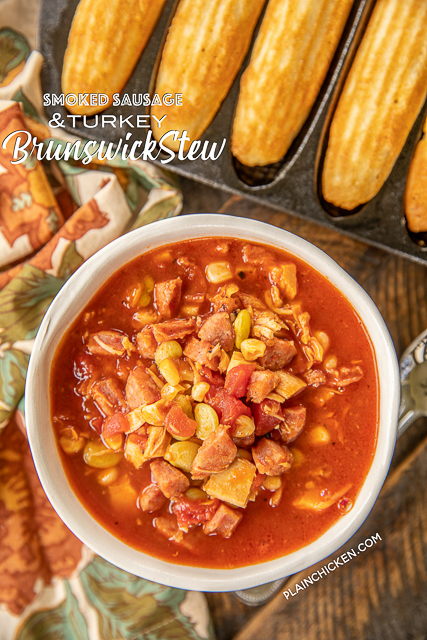 Make sure to save some of that Thanksgiving turkey you are eating tomorrow for this yummy Smoked Sausage & Turkey Brunswick Stew. It is SO good! 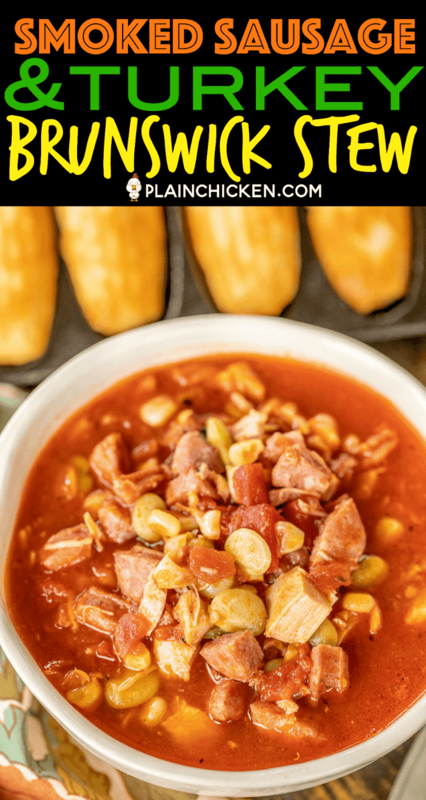 It is super easy to make and is ready to eat in about 20 minutes. WOOHOO! 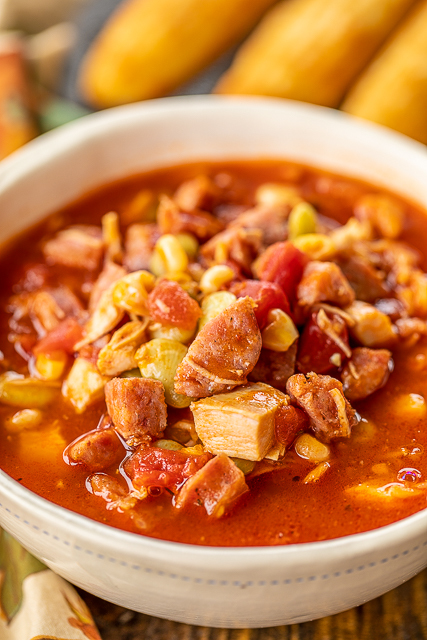 I used real smoked sausage in this Smoked Sausage & Turkey Brunswick Stew. 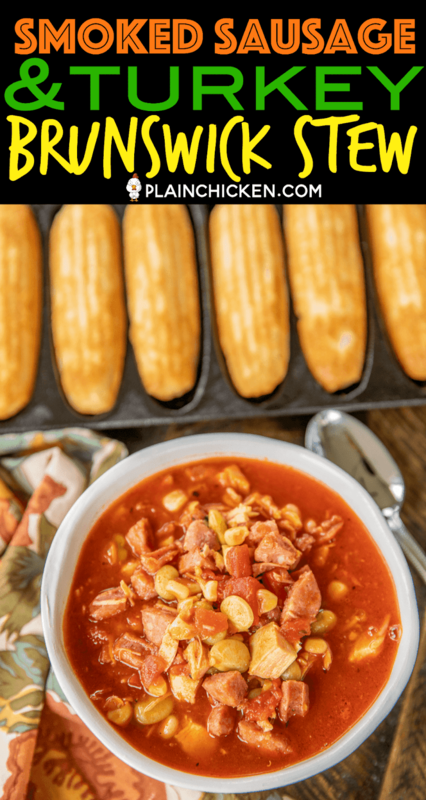 Feel free to substitute turkey smoked sausage if you are watching your calories. I know every little bit helps this time of year!! It will still taste delicious. 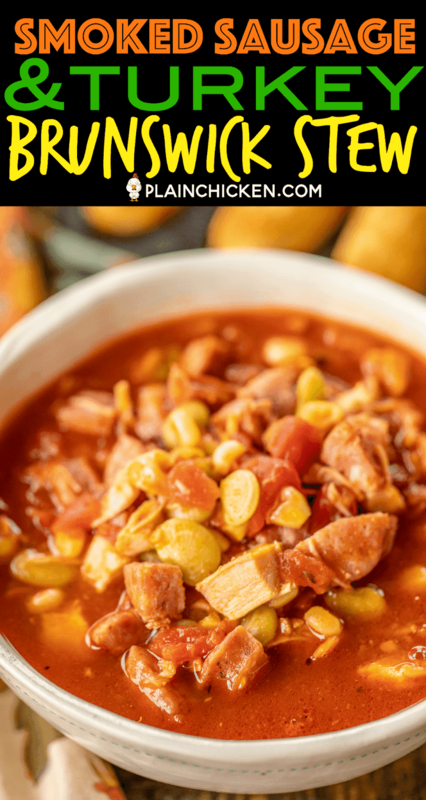 This Smoked Sausage & Turkey Brunswick Stew is loaded with smoked sausage, turkey, lima beans, corn, tomato sauce, chicken broth and BBQ sauce. 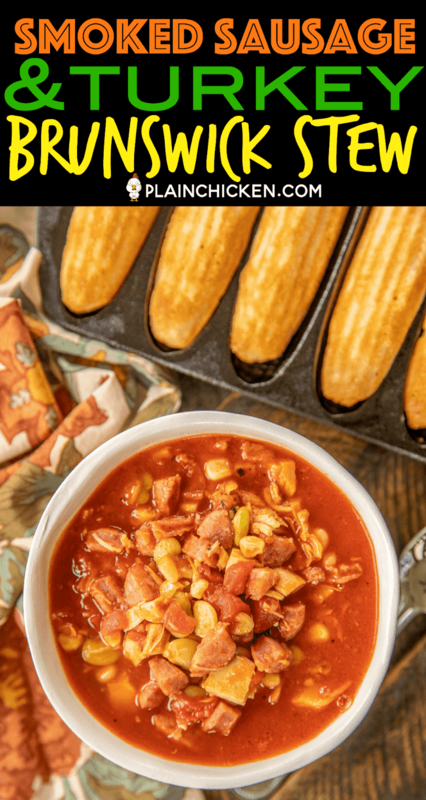 The BBQ sauce makes all the difference. Make sure to use one that you really enjoy. I love Williamson Bros BBQ sauce - they sell it at Walmart. I linked to it in the recipe. If you can't find Williamson Bros BBQ sauce, just use your favorite BBQ sauce. 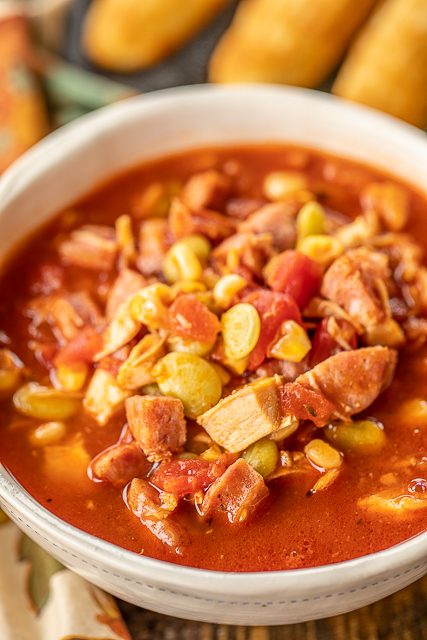 This recipe makes a lot of Smoked Sausage & Turkey Brunswick Stew. 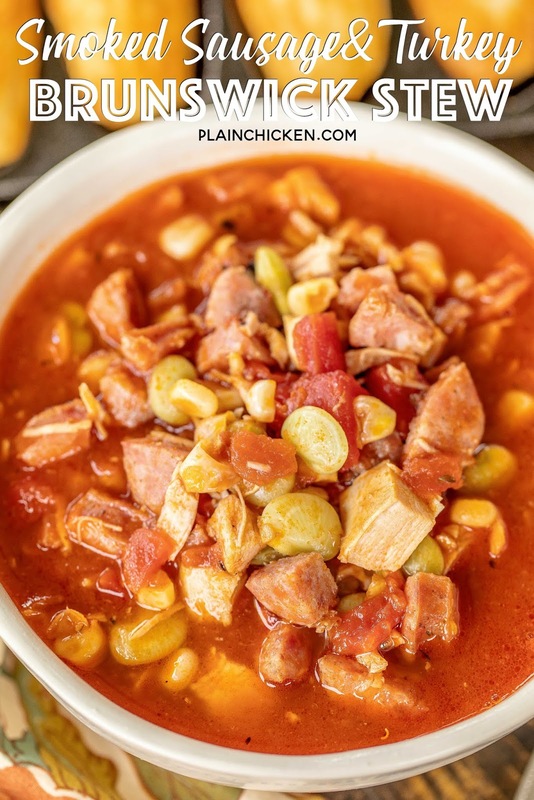 It tastes great reheated leftover or you can freeze the leftovers for a quick meal later! 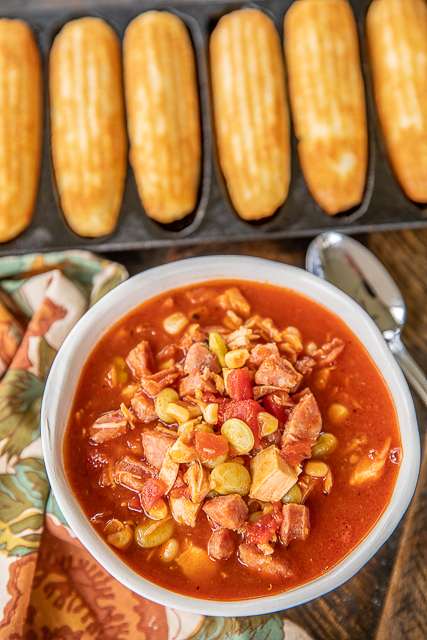 All you need is some cornbread and dinner is done! In a 6-QT DUTCH OVEN, heat oil over medium heat. Add smoked sausage and cook until starting to brown. Add remaining ingredients. Bring to a boil. 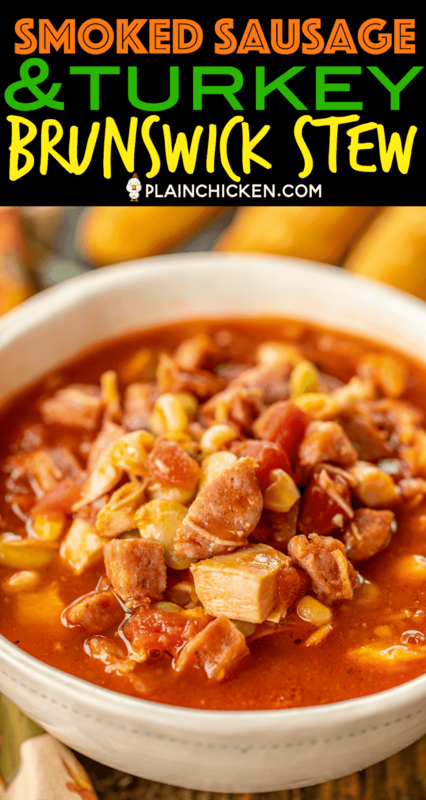 Reduce heat to simmer and cook 15 to 20 minutes.